Please support all this site does for you and your family by making a contribution! Click here to donate though PayPal! don’t do paypal…any other way to donate? your welcome……you deserve sooooooooooo much more. Still checking everyday for so much helpful info! Madeline, sorry, I don’t know. So I’ve seen rumors that a ticket price increase may be on the horizon based on the recent Annual Price increase. I’m looking at a June 2016 trip, and know I can easily make reservations online or with a travel agent. My question is, if I reserve a full package (room and tickets) and pay the deposit, will that ticket price be locked in or will they still charge more if tickets go up between now and then or before my payment in full is made? Candice, I believe not, but will double check. I think that once you book you face no future price increases unless you change your reservation–but again I will double check. Candice – Dave’s absolutely correct. Unless you choose to change something, your price is locked in. But you apply a discount or make changes you are subject to current pricing at the time of change. I’m more than happy to help you with any of your planning needs. 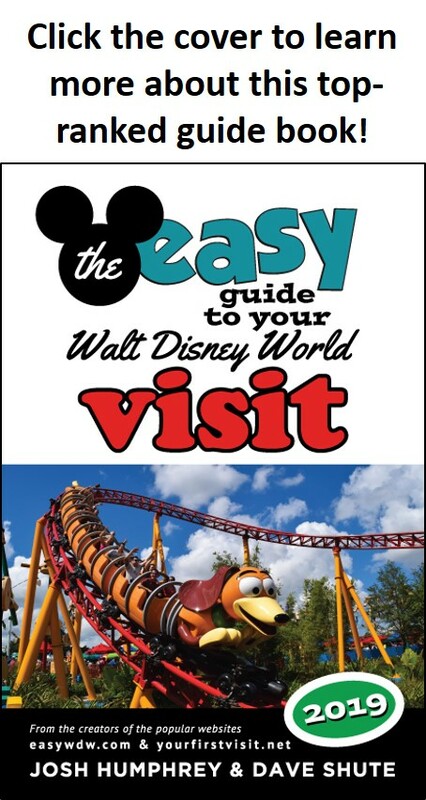 When you book with Destinations in Florida all of our planning services are FREE (plus you’ll get the latest copy of Dave’s Easy Guide FREE).